Rennet is the ingredient in cheesemaking that makes the milk coagulate by means of a natural chemical reaction and without which cheese as we know it would not exist. Coagulation is a vital part of the cheesemaking process and subtle variations can result in two quite different cheeses. For example, Brie de Melun and Brie de Meaux use different methods of coagulation which produces notable differences in the cheeses. There are two types of rennet, traditional and vegetarian. 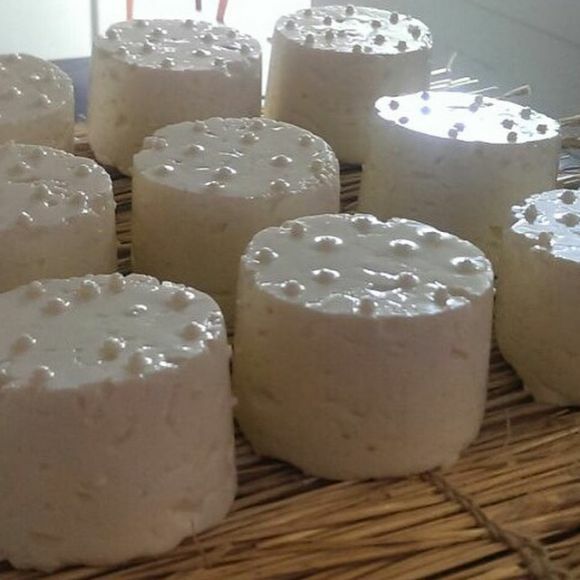 Traditional rennet is comes from the stomachs of young animals, typically calves in cows milk cheeses, kids in goats milk cheeses, etc. and are referred to as 'traditional' as at one time, all cheeses that used rennet used animal rennet. Vegetarian rennet most notably comes from the cardoon thistle but can also be found in fig, papaya, pineapple, nettles and more. There are a growing number of cheeses, especially in the UK which use vegetarian rennet as opposed to traditional rennet. Vegetarian rennet cheese include Oxford Isis, Minger and Cornish Yarg. CHEESEY OFFER - Why not visit our online cheese shop and get 10% off your purchase with the code 'RENNET10'. Just enter the code at the checkout stage to redeem your discount.